French President Francois Hollande visited a Syrian refugee camp in eastern Lebanon Sunday, after meeting with Lebanese religious figures in Beirut earlier in the day. Accompanied by UN personnel and Lebanese Defense Minister Samir Moqbel, Hollande toured the Dalhamieh camp in the Bekaa Valley under tight security. This comes one day after Hollande said French aid to help Lebanon deal with the Syrian refugee crisis will reach 50 million euros ($56.4 million) by the end of the year, and 100 million euros over the next three years, the Daily Star reported. Earlier in the day, Hollande met with Maronite Patriarch Beshara Rahi among other Lebanese religious leaders as part of his two-day visit to Lebanon. The state-run National News Agency reported that Hollande met with Rahi at the Pine Residence in Beirut, which is the official home of the French ambassador to Lebanon. The meeting took place in the presence of Maronite bishop Boulos Matar and the French ambassador to Lebanon Emmanuel Bonne. He also held talks with Greek Orthodox Patriarch John X Yazigi, Greek Catholic Patriarch Gregorius Lahham III, Beirut Archbishop Elias Aoude, Grand Mufti Abdel-Latif Derian, Higher Shiite Council Sheikh Abdel Amir Qabalan and Druze spiritual leader Sheikh Naim Hasan. He later met with Lebanese Army Commander General Jean Qahwaji at the French ambassador’s residence. One day earlier, while meeting with Lebanese officials, Hollande expressed solidarity with Lebanon in its ongoing battle against extremist militants, while pledging to bolster the country’s defenses. Hollande arrived in Lebanon with his delegation Saturday afternoon on the first stop of a regional tour which will also take him to Jordan and Egypt. It is worth noting that Jounieh is a Lebanese Christian town about 16 km (10 mi) north of Beirut. Iraq, Region Escape Immense Explosion: Is It Saudi Response to Syria Vote? There is an attempt to cordon off the Arabs and create distinctive and sharply delineating lines. These lines of delineation are replacing the seamless lines of transition that exist in places like the Middle East, North Africa, and the Balkans. Under this scheme, there can no longer be a melding transition between societies and countries. What is being staged is the creation of an exclusively Muslim region in Syria and the Middle East— excluding the citadel of Israel — that will be in turmoil because of fighting within the Sunni majority and between the Sunni Muslims and the Alawites, Twelver (Jaffari) Shiites, Zaidi Shiites, and Ibadis. Amidst the Arab Spring and the start of the problems in Syria, the Maronite Greek Catholic Syriac Church of Antioch, which is simply called the Maronite Church (after Saint Youhana Maroun, its patron) and the largest of the autonomous Eastern Catholic Churches, appointed a new patriarch on March 15, 2011. The new Maronite patriarch, Mar Beshara Peter (Boutros) Al-Rahi, would shift the underlying politics of the Maronite Patriarchate in Bkerké (and Dimane in the summer) towards a new direction from that of his predecessor Cardinal Mar Nasrallah Boutros Sfeir, who heavily favoured the bigoted warlord Samir Geagea’s Lebanese Forces Party and the Hariri-led March 14 Alliance. Cardinal Nasrallah was at odds with Damascus and he even refused to visit the Maronite communities inside Syria on church missions himself when he headed the Maronite See, because he said that his visit would signal his approval towards the Syrian regime’s actions inside Lebanon. Cardinal Nasrallah’s supporters would pointed out, in his support, that he also refused to legitimize Israel by personally visiting it whereas Patriarch Al-Rahi decided to join Pope Francis I and his delegation in 2014 for a meeting with Ecumenical Patriarch Bartholomew I, the figurehead primate of all the Eastern Orthodox Churchs, in Jerusalem to mark the fiftieth anniversary of Pope Paul VI’s meeting with Ecumenical Patriarch Athenagoras I in1964. Inside Lebanon, Sfeir either had a tense relationship or was at odds with Hezbollah, Michel Aoun’s Free Patriotic Movement, Suleiman Frangieh’s Marada Movement, and the rest of the March 8 Alliance too. Mar Nasrallah’s unyielding positions created divisions among the Maronite Christians and he began to be increasingly opposed by other Maronite bishops, which believed he was endangering the Maronite and Christian positions in Lebanon through his policies. It was even alleged that the Holy See or Vatican intervened and nudged Boutros Sfeir to resign vis-à-vis Cardinal Leonardo Sandri, the Argentine prefect overseeing the congregation of Eastern Catholic Churches for the papacy, and when Cardinal Nasrallah himself went to Rome to visit Pope Benedict XVI and to unveil a statue of Youhana Maroun in Vatican City. These accounts, however, were dismissed by his Maronite supporters as the malicious rumours of his opponents. Moreover, Patriarch Al-Rahi, like many other Christian spiritual leaders in Lebanon and Syria, recognized the threat that the insurgence afflicting Syria posed towards all Levantine Christians. Like Hezbollah and the Free Patriotic Movement, Patriarch Al-Rahi also realized that the insurgents would eventually attack Lebanon, if they successfully took over Syria. The New York Times began to assert in 2012 that «Syria’s pluralistic society, which once rose above sectarian identity in a region often characterized by a homicidal assertion of religious belief, is now faced with civil disintegration and ethnic cleansing». The Maronite Patriarchate and the Christian communities of the Levant realized that was at stake in Syria was much more than about the Syrian government. The things that were really stake were the continuation of the ancient Christian presence and the coexistence of Christians with Muslims, Druze, and Jews which the Israeli and US governments were trying to demolish with the aim of creating sectarian states that would be line with the so-called «clash of civilizations». Syria is viewed by advocates of the clash of civilizations paradigm as what is called a «cleft nation». Cleft nations like Lebanon, Syria, and Bosnia (as well as the former Yugoslavia and Soviet Union) are merging points between supposedly different civilizations. These nations and their societies help blend the different civilizations together and, hence, these cleft nations can obstruct a clash of civilizations by bridging different civilizational entities. The purging of Christian Syrians and Christian Iraqis, like Israeli and Zionist attempts to make Jewish Iranians leave their Iranian homeland, is aimed at sociologically and politically reconfigure the Middle East as a crossroad of different civilizations and as a merging point for the monotheistic Abrahamic faiths and their followers and confessions. It also denies the fact that Western Christians, Orthodox Christians, Muslims, and Jews really belong to one civilization. Moreover, this project’s nefarious aims include unknotting or de-blending Syria and the Middle East as pluralistic societies, social mosaics, and historic merging points between Christians and Muslims. This Christian-Muslim divorce and project to redraw the map is why the corrupt Sarkozy’s offer to relocate the Levantine Christian to the European Union was no gracious offer whatsoever. It was dually a slap in the face of all Christendom and all Arabdom by the same powers that have deliberately created the conditions to assault the ancient Christian communities of Syria. Resettling the Christian communities outside of the region and/or demarcating them into sectarian enclaves is meant to delineate the Arab nations along the lines of exclusively Muslim nations, This falls into accordance with both the Yinon Plan and the geopolitical objectives of Washington to control Eurasia by constructing a clash of supposedly different civilizations. Mahdi Darius Nazemroaya, «Plans for Redrawing the Middle East: The Project for a ‘New Middle East,’» Global Research, November 18, 2006. «Hizbullah Delegation Visits Bkirki and al-Rahi: We Haven’t Tackled Issue of Arms,» Naharnet, March 18, 2011. Hussein Dakroub, «Rai defends stance on Syria, weapons,» Daily Star, September 12, 2011; Jean Aziz, «Christians of the Levant Say France Is Plotting to Displace Them,» Al-Monitor, January 7, 2013. 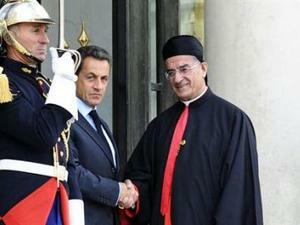 «France denies Sarkozy said no home for Christians in region,» Daily Star, September 23, 2011. Bkirki: Syrian Delegation’s Visit Aimed at Bridging Gap between Sects,» Naharanet, September 29, 2011; «Patriarch al-Rahi, Damascus Mufti Discuss Syrian-Lebanese Relations and Bolstering Islamic-Christian Fraternity,» Syrian Arab News Agency, September 29, 2011. Hussein Dakroub, «Raid defends Syria,» op. cit. Kapil Komireddi, «Syria’s Crumbling Pluralism,» New York Times, August 3,2012. Robert Tait, «Iran’s Jews reject cash offer to move to Israel,» Guardian, July 12, 2007; Yossi Melman, «Iranian Jews blast offer of cash for immigrating to Israel,» Haaretz, July 14, 2007. We’re not impressed with all the hoopla about an absence of consensus over some new president for the Lebanese Republic. In truth, the whole affair is a big Yawn. When Michel Sulayman left office, thankfully and mercifully, there should have been a big sigh of relief – that is – unless the cunning Lebanese “lawmakers” found a way to extend his purposeless reign of stupefying ineptitude and humbuggery in order to justify their exorbitant salaries and unfettered access to the hallways of corruption – a necessary emolument which sits like a big fat pot of Fool’s Gold at the end of their purplish, Levantine Rainbow. The Lebanese have never needed government. They function best without it. A country with negligible natural assets save some beautiful scenery (inviting tourism), gambling and lechery (inviting tourism), secretive banks (inviting tourism) and a laissez faire frame of mind towards everything because, you see, in Lebanon, as the saying goes, “you can even find bird’s milk in Beirut” – requires no administrative body to hem in the endemic affinity for moral squalor and depraved mammonism. Saudis and the rest of the Arabian monkeys come here to vent spleen over their suffocating Wahhabist culture. Germans come here to try out the dark-haired Russian tarts for whom they lust in a country “blonded out and blinded out” by decades of post-Versailles inculcation in the inherent perils of too much melanin. Whenever there has been a so-called “crisis” over the presidency, tourism has thrived, banks have prospered, airlines have expanded and arak sales soared through the proverbial roof. Prostitutes (professionals akin to parliamentarians) do a brisk business in the absence of their elected procurors. Happiness is only that far away. 2. An army might be asked to help in the fight against the Zionist Entity – something no right-minded Right-Wing Maronite or Saudi-Sunni-catamite could possibly abide. It’s Zionism that protects them, just like it protects King Abdullah of Jordan and King Abdullah of Saudi Arabia. With no real army capable of defending the territorial integrity of the French-created state, a president and his government exist simply by popular indulgence. Being Lebanese means you don’t really care about the whole matter and the appearance of having a government is merely that – an appearance – that could be used to justify financial aberrations with references to legislatively created statutes normally deemed criminal, or at least “suspect”, in most disciplined societies. But, a government for any other purpose is unthinkable. Like a Brooks Brothers’ tie, one can wear it or hang it up. No great shakes. With Hizbollah in existence, protecting the southern corridors of the country, Lebanese can relax and pretend they have a fearsome military to shame all other Arab armies – after all who kicked the Zionists out with the SLA? Who kicked the Zionist haunches out of all Lebanon in July 2006 and hand-delivered Zionism’s first major military defeat since the battles of the October War? And who gave the Syrian Army a nice boost in the Qalamoon, Al-Qusayr and Tal Kalakh? But, there is a big “BUT” here too. The Right-Wing Maronite establishment and its kindred Sunni-Saudi moles chafe whenever someone mentions Hizbollah – after all, it’s Hizbollah which constantly serves to highlight their ongoing treason and skullduggery when it comes to anything that smacks of Arab Nationalism or duty to Palestine. The banks take care of everything else. As long as the Lebanese have money to spend, and foreigners have money to stash away, and Arabians have money to buy those expensive Somali bananas, there appears to be no great need for a president. What the Lebanese really need is a “Financial Coordinator” who makes sure everybody gets his weekly paycheck. 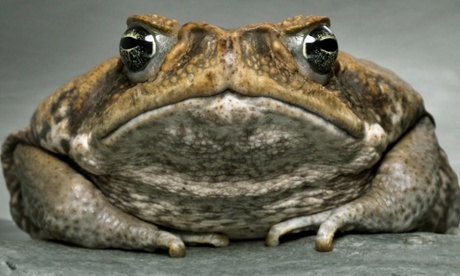 The Parliament, as thick as thieves, a riffraff of knaves, a knot of toads, should meet but once a year to draft laws proposed by the Coordinator. The best way to insure they do not meet is to condition their membership on “charitable service” which means they get no pay. When they cannot reach a quorum because they always will fail to meet, the Coordinator enacts the laws by default. If you’ll notice, this standoff is producing come interesting insights into how Lebanon really exists. Even Cardinal Bishara Al-Raa’iy tossed in his two bits about how the absence of a president is “shameful” and must be rectified immediately. But, when Michel Aoun, the bane of Zionist and Saudi stooges in Lebanon, suggested a direct election by the people for the presidency, the subject hardly made the front pages of major news sources. The fact is, the Lebanese “shadow government” can’t have direct elections because that would mean Aoun would be elected by a solid majority – an eventuality viewed by the Saudi monkeys as another victory for their major bete noire, Dr. Assad. You see, there is no way but the present way to guarantee a president acceptable to the United States, the Zionist Entity or the Saudi troglodytes. Once the people are given the right to vote, the U.S. and its allies go down to the main sewer. It is only with the present system where the president is voted in by consensus of the morally bankrupt parliamentarians that somebody like Michel Sulayman can rise to power in Ba’abda. With someone like Sulayman, the French can send in spies and terrorism enablers in broad daylight, stuff them in neapolitan-colored Oscar Mayer buses and drop them off in northern Lebanon where they can assist Islamist terrorists in killing Syrian secular Muslims, Christians and Alawis. It is only with a president like Sulayman that the American ambassador in Beirut can come calling with a laundry list of demands that include the Lebanese turning a blind eye to terrorists massing in the Waadi Khaaled area and the Bekaa Valley in order to overthrow the legitimate government of Lebanon’s pesky neighbor. 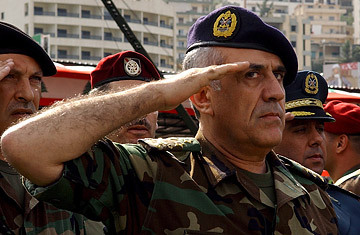 Former president, Michel Sulayman, see here as a former “general” of the “Lebanese Army”, looks askance at the photographer to make sure he’s getting his best side. In order to get the best candidate for the French-controlled Maronites and their emasculated Sunni/Saudi allies, the present system affords these compradorists their optimal chance to get Mr. Right elected. And who is Mr. Right? Only the little birdie in Tel Aviv knows. It’s time to talk turkey. The Lebanese do not need this government and should opt out for the only realistic choice: empowerment of the National Bank of Lebanon to do what their presidents cannot – run the country honestly. In the absence of that, let the people choose their leader, the way they did it in Syria. Remember Ziad’s article about how ISIS stormed Mosul? Guess who got it right? Will Michel Suleiman be tried? Aoun’s initiative: To make an opening in procedures, or to breach the system? Filed under: Hezbollah, Lebanon, Lebanon's army, Levant, Maronite Patriarch, Michel Aoun, Saudia, Syria, War on Syria | Tagged: Michel Suleiman |	Comments Off on DO THE LEBANESE REALLY NEED A GOVERNMENT? 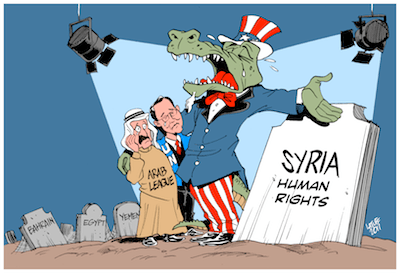 The United States, NATO countries and their Turkish and Arab vassals continue their war of attrition against Syria. They try to undermine the credibility of the upcoming presidential elections, scheduled on June 3, while the Syrian state is continuing its preparations to ensure the success of this popular consultation, during which three candidates will compete, which is a first in the modern history of Syria. Among the pretexts evoked by the West and its allies to question the legitimacy of elections is the continuation of the war. But it is them who are making intensive efforts to prolong the conflict and therefore the suffering of Syrians. Gulf money continues to flow freely to finance terrorist groups, including Al Qaeda, Turkish and Jordanian arsenals are wide open, while Washington, Paris and London provide technical assistance and training to extremists. Feeding the war, the United States wants to torpedo any political solution to the crisis, preventing the Syrian State to renew and modernize its institutions on the basis of pluralism and democracy. Western opposition to the organization of presidential elections is built on a bunch of lies. West itself has not failed to encourage some countries to hold elections in times of crisis (as in Ukraine, for example) and distribute certificates of good conduct, when the electoral process served its interests. Barak Obama was one of the first leaders to congratulate the Iraqi government to the organization, last week, of parliamentary elections, while the war against Al-Qaeda tears several provinces. Iraq had elections under U.S. occupation and the great defenders of political freedoms had swallowed their tongue at the time. The wrath of the West is that the elections in Syria are organized by an independent and sovereign State, which has withstood one of the fiercest wars of recent decades, in order to recolonize the country. If the West really wanted to end the war, it would have dried up the sources of funding for terrorist groups, and have stopped Saudi Arabia, Qatar and Turkey of arming them. The other Western pretext saying that the Syrian presidential elections undermine the political solution is a lie. Elections held in Iraq under American occupation took place in parallel with the political process. Same case for the presidential elections in Afghanistan, which took place while negotiations continued between Kabul and the Taliban. In fact, when the West speaks of a political solution in Syria, he means his political plan, which is to cause a presidential vacuum in Syria, hoping to put the country under supervision in accordance with a resolution of the Security Council of the UN. Finally, West argues that the outcome of the presidential Syrian is known in advance and that the victory of President Bashar al-Assad is acquired. In reality, these predictions are based on surveys conducted by the U.S. British and French intelligence services, including in refugee camps outside of Syria, who showed the great popularity enjoyed by the Syrian leader. The reports provided by intelligence show that President Assad would get three-quarters of the votes in any free election. • Syrian armed men opened fire at five youths from the Beqaa town of Arsal on Sunday, injuring three of them. The National News Agency identified one of the injured as eighteen-year-old Ahmad Abdel Atrash, while the two others were from the Hojeiri and Al-Jebbawi families. 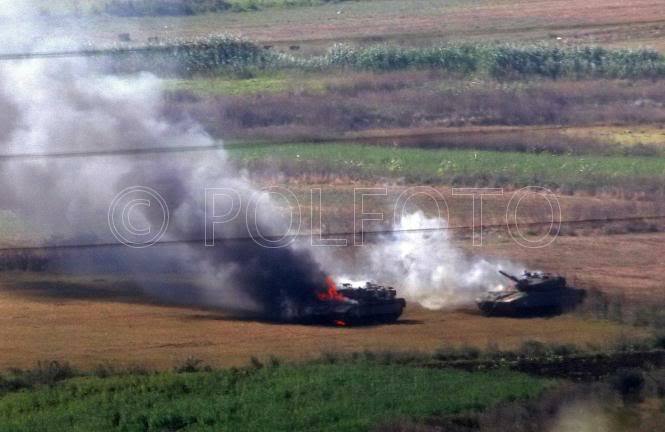 The incident took place in the Al-Rahwa area in the Anti-Lebanon Mountains. • The United Nations High Commissioner for Refugees (UNHCR) said that Lebanon has become the country with the world’s highest concentration of refugees compared to its total population. “This month has marked a dangerous turning point, for the number of registered Syrian refugees and those awaiting registration has surpassed a million, making Lebanon the country with the highest per-capita concentration of refugees worldwide,” the UNHCR said in its report, published on Sunday. It noted that this week alone, over 50,500 refugees were registered, raising the total number to 1,044,000. A visit to Jerusalem by the patriarch of the Maronite church to greet Pope Francis would be a historic sin. In doing so, Patriarch Beshara Bourtros al-Rai would be the first patriarch to do so since the creation in 1948 of Israel, with which Lebanon is technically at war. it is a dangerous precedent, The trip would not serve the interests of Lebanon and the Lebanese, nor those of Palestine and the Palestinians nor Christians and Christianity. Would the patriarch shake hands with Israeli leaders who will be in the front row to welcome Pope Francis to Jerusalem? Even if he does not, he would still have to coordinate his trip with Israeli officials. 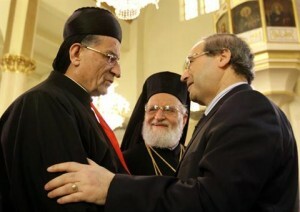 The visit is part of the normalization between the head of the Catholic church and the occupier. Health Minister Wael Abu Faour said that Saudi Arabia supports consensus among the Lebanese parties regarding the presidential elections. “The officials in Saudi Arabia that I met [had] a positive stance regarding the Lebanese parties’ consensus on a presidential candidate,” Abou Faour told Al-Liwaa. The Progressive Socialist Party official also said that his recent meeting with Future Movement leader MP Saad Hariri was positive. “The meeting with Hariri was good, and we managed together to put the train on [track],” he said. Judging from what happened on April 23 and April 30, the upcoming sessions of parliament to elect a new president are only a facade until political factions can decide on a consensus candidate. The number of MPs attending – those who want to reach quorum and those who want to evade it – will dwindle week after week. The 2014 presidential elections are starting to look like the 2008 elections. Up until the constitutional deadline on May 25 and President Michel Suleiman’s departure from Baabda, it will not be likely to reach the quorum needed to elect a new president in the weekly parliament sessions. All sides are moving towards an inevitable void and the beginning of a new political phase. It will be based on adapting to the vacancy in the executive branch and attempting to prevent it from extending into the next constitutional deadline awaiting March 8 and March 14. Between July 20 and November 20, another political hurdle awaits, which will be as complicated as the presidential elections. November 20 is the end of parliament’s term. Political factions must not to fall into another void, this time in the legislative branch. Parliamentary elections need to be held in that period, unless the MPs extend parliament’s term once again. This hurdle, following the vacuum in the presidency, will mean that parliament would not only have to extend its term, like it did on May 31, 2013, but also find a way to pass the extension and publish it in the Official Gazette without the president’s signature. Presidential powers will be transferred to the government of Tammam Salam according to article 62 of the constitution. However, he will need to get the signatures of all 24 ministers for the parliamentary extension decree, as those powers are awarded to the council of ministers as a whole. Of course, the next constitutional hurdle is not the main reason for electing a president. The expected void entails being prepared to tackle several problems. After the parliament session on April 30 it is apparent the two-thirds parliamentary quorum will not be reached anytime soon, regardless of the number of sessions called by Speaker of Parliament Nabih Berri. He could call for four or five sessions at most before the May 25 deadline. In the 2007-2008 elections, he called for 20 sessions, five within the constitutional time limit between July 25 and November 24, 2007, and 15 afterwards. Back then, the same sides, March 8 and March 14, did not seem to be burdened by the constitutional deadline, which would have forced them to find a two-thirds majority to elect a president from the first round. It does not seem burdensome today either, with neither side seeing the constitutional deadline as the final date to elect a new president. 1. March 8 and March 14 are using the prospective vacancy as a tool for the next phase of the conflict. They are not worried about the outcome, as long as the Salam government contains ministers from both sides to manage the void in the executive branch and maintain stability. This would avoid a hold on power by one side, such as the Fouad Siniora government during the presidential vacancy in 2007-2008. Back then, after the end of Emile Lahoud’s term, Siniora was forced to visit former Maronite Patriarch Mar Nasrallah Boutros Sfeir to assure him that the cabinet would only use the powers of the presidency in the narrowest scope possible. 2. Neither side is going to budge from their position on who should be the next president, except at an advanced stage of the presidential void, whose local and regional conditions cannot be anticipated. This could lead Free Patriotic Movement (FPM) leader Michel Aoun to keep betting on being a consensus candidate with support from the Future Movement, without announcing his candidacy. It would also lead the head of the Lebanese Forces, Samir Geagea, to hold on to his candidacy in all the sessions set by Berri. Until now at least, neither candidate is ready to admit that clinging to their candidacy will lead to a stalemate, which could only be resolved if both exit the race. Hezbollah and the Future Movement are acting in the same manner. They both support their candidates wholeheartedly, allowing them to move ahead in their absurd gamble, until they get tired on their own and feel that they weakened the process and each other. It would be an illusion to believe that the Future Movement, which abandoned the three other March 14 candidates, will ask Geagea to pull out. The same goes for Hezbollah and Aoun. Thus the quorum, which is the core item needed for electing a president, is turned into a marginal issue. In the current battle, neither side will be able to get their candidate into Baabda. It is also important to note that MP Walid Jumblatt will not give either side the simple majority, except through a political settlement that excludes both Geagea and Aoun. 3. External signals do not point to an international intervention anytime soon to elect the president within the constitutional deadlines. Perhaps there will be some waiting time until Baabda becomes vacant. Some of the indicators around Riyadh’s position on the current contacts between the FPM and the Future Movement might explain the slow pace. Despite avoiding to delve into the details, the kingdom’s only candidate at the time being is Geagea and it does not think of reconsidering its position. The Kingdom does not mind a dialogue between Aoun and Hariri, as long as it does not go against the Saudi position. But there is still no answer to the lingering question repeatedly asked by Bassil to Hariri’s envoy: Why the insistence on Geagea? In almost every controversial matter, Maronite Patriarch Mar Beshara al-Rai plays a starring role. After a series of contradictory positions and his visit to Syria in February 2013, he decided to take a step that his predecessors refrained from, visiting occupied Palestine as part of a papal delegation. During the civil war, the Maronite patriarch opposed the relationship between right-wing militias and Israel. There are a number of Maronite religious orders in the Holy Land and a Maronite diocese headed by Bishop Boulos Sayyah, who for 16 years used the Naqoura crossing to travel between Lebanon and occupied Palestine. Sayyah’s visits took place with the knowledge and permission of the Lebanese state. But no head of a Lebanese church has stepped foot on these lands before because they did not want such a step to be perceived as recognition of or normalization with the Zionist entity. هكذا علّق «عملاء لحد» على زيارة الراعي لهم! The visit by Maronite Patriarch Mar Beshara al-Rai to Jerusalem in May can not go unnoticed, especially since no Lebanese patriarch has done so before. Why does Rai then, unlike his predecessor, insist on traveling to occupied Palestine as part of the papal visit? However, one can not compare the two patriarchs according to Saad, they had different issues to take into consideration. “We should not forget that Israel had not withdrawn its army [from Lebanon] when Sfeir refused to participate in the Vatican’s delegation.” That is why, “I don’t consider the visit [by Rai] a normalization of relations. There are issues beyond politics and conflicts, namely Rai’s sense of attachment to the Holy Land,” Saad concludes. Rai brought up the issue at the meeting of the Council of Maronite Bishops. He said the pope is going to visit the region and “I will take advantage of this trip to visit the church’s parishioners.” No one protested publicly, even though some of the bishops did not feel comfortable with the idea. The visit’s program is still not clear, but “there definitely won’t be meetings with any political figure since the visit is not to a state,” Rai said. For some, Syria might be a provocative state that committed abuses during its tutelage of Lebanon but there is a huge difference. It is enough that the articles of the Lebanese penal code that punish any person who enters an enemy state does not apply to Syria. Drawing a parallel between Rai’s two visits is nothing but an excuse to justify an unnecessary visit. The patriarch could have chosen not to participate in the Vatican’s delegation, especially since there is a bishop who looks after the parish. Who knows, perhaps Rai did not intend to raise controversy. The question here is not meant to be an indictment or an accusation of treason. But neither Rai, nor the bishops who describe Israel as a “usurping state” can use some Arab leaders’ relationship with the Zionist entity as an excuse. The purpose of the patriarch’s trip is to visit the Maronite community in Palestine but can he trust that Israel will not somehow implicate him by making him shake the hand of one of its officials in front of TV cameras? Tensions are escalating in Ain al-Hilweh, Lebanon’s largest Palestinian refugee camp. In the past, people feared a clash between the Fatah Movement and Islamist groups, but today they are more concerned about a possible confrontation between Islamists themselves. Such tensions may threaten the Palestinian initiative to isolate the refugee camps from ongoing internal and regional conflicts and undermine the memorandum of understanding signed between different Islamist factions that have come together under the group known as the Muslim Youth. In a meeting held on April 28 at the Palestinian embassy headquarters in Beirut, members of the parties behind the Palestinian initiative to pacify and protect the refugee camps (19 nationalist and Islamist factions) agreed on a security plan for Ain al-Hilweh, located on the outskirts of Saida in southern Lebanon. Chief of the Palestinian National Security Forces, Sobhi Abu Arab, will head a security meeting today to create a preliminary plan. According to a Hamas representative in Lebanon, Ali Barakah, a Palestinian higher political committee expects to receive the first draft of the plan within a week, so it can add its own remarks before presenting it to Lebanese political and security forces. Barakah explained that the plan’s main goal is to support the security forces who have already been deployed in the camp about a month ago. He also revealed that the idea first came up during a recent meeting with the director of General Security, Abbas Ibrahim. However, concerned parties have yet to agree on the plan’s details and how it will be implemented. Meanwhile, Interior Minister Nouhad al-Machnouk discussed the prospects of such a plan during a meeting with heads of security bodies held in Saida last week. He also inquired about the feasibility of deploying the army inside the camp and setting up police stations in some of its neighborhoods. Yesterday’s meeting followed a recent spate of violence in the camp amid rising fears of clashes between moderate and extremist Islamists. Following the assassination of Sheikh Orsan Suleiman, Ain al-Hilweh residents expected Fatah to take action. However, Osbat al-Ansar was the faction that stormed into the strongholds of rival Islamist groups Jund al-Sham and Fatah al-Islam, and deployed gunmen in their neighborhoods overnight Saturday. In a phone interview with Al-Akhbar, Osbat al-Ansar leader, Sheikh Abu Tarek al-Saedi, attributed these actions “to many reasons that have been accumulating,” saying that Osbat is worried that some forces are no longer focusing on Palestine “but on Lebanon or on each other.” Though Saedi refused to give a particular reason behind the deployment of their gunmen, informed sources revealed that it was in retaliation for the shooting of a senior Osbat official identified as Taha Shreidi in Safsaf Street. Shreidi escaped unharmed but on the next day, Osbat arrested a suspect identified as Ali Abdul-Jabbar belonging to Bilal Badr Islamist Brigade that has already – along with others close to the emir of Fatah al-Islam, Oussama al-Shahabi – targeted Shreidi. Bilal Badr Islamist Brigade and Fatah al-Islam have both been verbally attacking Osbat and the Jihadi Islamist Movement in private sessions and on social networks for coordinating with Lebanese political forces, mainly with Hezbollah, saying that security bodies allow them to leave the camp whenever they want. Abu Sharif Akl, an Osbat spokesman, attacked in his Friday sermon those promoting a culture of dissent among Muslims, saying that there is a hit list with leading sheikhs’ names on it. He also linked the assassination of Shehabi’s nephew to the call of Interior Minister Nouhad al-Machnouk and the new chairman of the Lebanese-Palestinian Dialogue Committee, Hassan Mneinmneh, to disarm the camps. Since the assassination of Ahbash official, Sheikh Orsan Suleiman, in the camp, Akl has been moving around with a gun on his side, while Sheikh Jamal Khatab has his own armed bodyguards. In a ten minute audio message, Shahabi refrained from accusing any party of killing his nephew Ali Khalil, but stressed that his group is ready to retaliate against all aggressions. According to informed sources, Palestinian and Islamist factions now fear a new string of assassinations and car bombs. While they ruled out an imminent clash between moderate and extremist rival Islamist groups, they expressed their concern about the involvement of parties from outside the camp. In the meantime, Mneinmneh hosted the first Palestinian delegation since he took office and was handed a petition advocating the right of return, rebuilding the Nahr al-Bared refugee camp and refusing displacement. Change and Reform bloc MP Fadi al-Awar said Lebanon’s presidential elections would fail and there would be no negotiations between his bloc’s leader Michel Aoun and the March 14 alliance as long as it continues to support Lebanese Forces leader Samir Geagea’s presidential campaign. “Wednesday’s electoral session will be like its predecessors and an incomplete quorum will remain the last word as long as agreement is not reached between Lebanon’s [political players] on the identity of the next president,” Awar said in an interview published by As-Seyassah . Awar added that while Friday’s meeting between Foreign Minister Gebran Bassil and Future Movement leader Saad Hariri was inconclusive, discussions with Hariri would continue until an understanding was reached. ِِِِِApologize for what you did! – اعتذر عمّا فعلت! البطريرك بشارة الراعي يدرس، الآن، فكرة أن يزور إيران! هذه هي الفتوى التي خرج بها جهابذة مقربون منه لتسوية الوضع مع المحتجين على زيارته لفلسطين. لن تردّ إيران على أحد أن طالبها بعدم استقبالك. ولن يخرج من يدين زيارتك لها، إلا إذا وجدت أمانة 14 آذار، بجناحيها القواتي والمستقبلي، أن زيارة كهذه تمثل «تطبيعاً» مع «العدو الفارسي»، علماً بأن تاريخ هؤلاء لا يشي بجرأة من هذا النوع. إلا إذا أفتى لهم نابغة بأن يعترضوا، فيحصل التوازن، ويكون البطريرك لهم من الشاكرين! هكذا يطبخ سياسيو 14 آذار. يجمعون البيض والدقيق، ثم يأتون بالخضر، ليصنعوا قالب حلوى، ولا مشكلة إن خرج من الفرن على شكل عجة! لم يفهم الجميع، سابقاً، سر إصرار الراعي على رفض كل الاعتراضات على زيارته مناطق تحتلها إسرائيل. قال أمام كل من ناقشه إنه في زيارة رعوية. بعث برسائل الى من يهمه الأمر: أنا خارج بروتوكول زيارة البابا. لن ألتقي إسرائيليين. لن أصرح لوسائل إعلام إسرائيلية. لن أقابل شخصيات سياسية، لا إسرائيلية ولا فلسطينية ولا لبنانية، هناك. لن أقارب أي موضوع سياسي. ستكون مجرد زيارة رعوية! في الإجراءات. أنشأت شرطة الاحتلال خلية أمن خاصة لمواكبة زيارة الراعي. برضاه أو من دون علمه، حرصت على تنفيذ «المواكبة عن بعد». إلا أن الأمر لن يمر هكذا من دون مضاعفات، وخصوصاً أن البطريرك لا يقوم بزيارات فردية، وهو قرّر زيارة قرى هُجّر أهلها، ويمنع العدو عليهم العودة للعيش فيها. كما أنه تنقل في أكثر من منطقة، ويجب القيام بكل ما «يؤمن له الأمن الكامل». لن نقول للبطريرك إنك تحركت تحت حماية قوات الاحتلال. صحيح أنه لم يطلب ذلك. إلا أن هذا ما حصل! ليس صحيحاً أن الراعي لا يعرف شيئاً عن هؤلاء. المطارنة المعنيون بهذا الملف يعرفون التفاصيل الدقيقة لملفات جميع اللبنانيين هناك، الذين فيهم لائحة من المجرمين، القتلة، الذين لا يريدون العودة الى لبنان. وهؤلاء يدركون أن البلاد لا تحتمل ظلهم أصلاً. ومعظم أفراد عائلات المنتمين إلى هذه الفئة قرروا البقاء الى جانبهم، بعدما حصلوا على تعويضات مالية من العدو، سمحت لهم بالسكن والعمل والتعلم، وحصلوا على وثائق تتيح لهم السفر. أما بقية اللبنانيين هناك، فقد عرض عليهم العودة. المتعاملون منهم مع العدو، رجالاً أو نساء، عليهم تسليم أنفسهم للسلطات اللبنانية، يخضعون لمحاكمات، ويلتزمون تنفيذ أحكام تقضي بعدم عودتهم إلى قراهم إلا بعد سنوات. وأبرز تفاهم سياسي بشأن هؤلاء تم بين حزب الله والتيار الوطني الحر. قام التفاهم على أسس متينة، تقضي بتوفير آليات محاكمة عادلة تؤمّن عودة من فرّوا خوفاً. لكن معظم هؤلاء، فضلوا الخيار الآخر: هم في وضع يناسبهم معيشياً، ويرفضون المثول أمام القضاء اللبناني، كما يأبون الفصل بينهم وبين أفراد عائلاتهم. هم يريدون فرض شروطهم على الجميع، ويطلبون، فوق ذلك، ضمانة من المقاومة والدولة بأن لا يتعرض لهم أحد بكلمة. لم يكن خطأ الراعي بسيطاً. كان جسيماً، وجسيماً جداً. البطريرك الراعي ارتكب ما يوجب القعود على كرسي اعتراف. وعليه أن يجلس أمام أيتام الشهداء الذين قتلهم هؤلاء العملاء. ليس لنا إلا أن نقول له بصدق وصراحة: لا بطولة تمحي عاراً. ولا صوت جلاد يخفي أنين الضحية. وليس أمامك إلا خيار واحد: اعتذر عما فعلت! استفزّ البطريرك مار بشارة بطرس الراعي، الذي زار إسرائيل، والتقى باعضاء ميلشيات أنطوان لحد، اللبنانيين والعرب على حدٍ سواء، ففي عظته خلال القدّاس الذي أحياه في كنيسة الموارنة في حيفا، الذي حضره عدد من هؤلاء، بدا الراعي مستفزًا من الاعتراض على الزيارة وعلى لقائه بهم على نحو خاص. كما رأى أن انتقاده جرح في الصميم، فيما لم آت لعقد صفقات سياسية أو تجارية أو اقتصادية أو أمنية، على حدّ تعبيره. ولعناصر لحد قال إنّه يرفض وصفهم أوْ التعاطي معهم على أنهم عملاء أو مجرمون أو أنْ تكون عودتهم منوطة بأحكام عفو قضائية أو قرارات دولية. وأضاف إنّ الحل هو المصالحة فقط، متسائلاً: ما الجرم الذي ارتكبتموه؟، ولفت إلى أنّ مَنْ اضطر ترك وطنه عام 2000، لم يًحارب الدولة والوطن والمؤسسات، ولم يعطل رئاسة الجمهورية ويفقر اللبنانيين. وتابع موجهًا كلامه لهم: أريد أنْ أفهم ما هو جرمكم؟ أنتم الذين تحبون لبنان، وتحملون أعلامه، ووعدهم بأنّ المصالحة سينقلها إلى لبنان، حيث سيقوم بطرحها على الجهات ذات الصلة. الإعلام العبريّ أبرز خطاب الراعي. وزاد: أولويتنا دائمًا هي العودة إلى بلادنا مرفوعي الرأس لأننّا لم نرتكب إلا جريمة الحفاظ على لبنانية الأرض ومع ذلك فإننا على يقين بأن رجوعنا إلى لبنان في ظل الأوضاع الحالية والتي كما يبدو لن تتغير سيكون مستحيلا لذلك فليعد أبناؤنا لكن كيف؟ أمّا البيان الإعلامي الرسميّ للجالية اللبنانية في إسرائيل لمناسبة الزيارة فجاء فيه: نحن كلبنانيين منفيّين عن بلادنا منذ العام ألفين، نتيجة سياسات انتقائية وجائرة ومجحفة وظالمة، أرخت بثقل اتهاماتها المفبركة وأحكامها المأجورة على واقعنا وعلى مستقبل أولادنا، نعتبر هذه الزيارة استجابة لصلواتنا التي رفعناها وما زلنا نرفعها كي تُفتحَ أمامنا طريق العودة إلى الوطن الذي نعشقه والذي دافعنا عنه بأرواحنا وأجسادنا. فأبناء الجنوب دفعوا ثمن كرامتهم وحرّيتهم ووفائهم لأرض الوطن ما يزيد عن الـ1500 شهيد. علَّ كلُّ ذلك يكون صفعة لضمير حكّام الدولة اللبنانية الذين يتجاهلون واقعنا المرير، مُلَزِّمين قراراتهم لشهود زور أعاثوا أرضنا المقدّسة فساداً، مستوردين مشاريع مشبوهة من وراء حدود وطن الأرز والقداسة، أقلّ ما يقالُ فيها أنها لعنة مضرّجة بالخبث والرياء والفساد. نريد هذه المناسبة أن تكون لنا أولاً وقفة صلاة وتضرّع أمام الله والناس، تعبيراً عن إيماننا ورجائنا. وتابع: نريدها لنا وقفة عنفوان وافتخار بما قدّمه شهداؤنا. كما نريدها من جهة ثانية أن تكون وقفة مساءلة لحكّامنا الذين أصدروا مذكّرات رسميّة في العام 1976 لإنشاء جيش لبنان الحرّ، وهو الذي قدّم الغالي والنفيس في سبيل الدفاع عن أرض الجنوب بوفاء وسخاء. وخلص البيان إلى القول: نحن نعلي الصوت هاتفين: العزّة والكرامة لأهلنا الصابرين والصامدين في الجنوب وفي كل الوطن، لتبقى بلاد الأرز أرض القداسة والقديسين، أرض البطولة والأبطال، لكي يحيا لبنان. Filed under: "Peace with Israel", Arab Christians, Civil War, Collaboration, Hezbollah, LF, March 14 Movement, Maronite Patriarch, Palestine, Phalange party, Sabra and Chatila | Tagged: Sharon |	Comments Off on ِِِِِApologize for what you did! – اعتذر عمّا فعلت!